Men everywhere use shaving cream for its capacity to protect against irritation, razor burn, nicks, or cuts of any sort. These creams are partly popular not just for the protection they provide but also for the scent, foam, and texture that also helps during the shaving process. If you are among those who routinely employ shaving cream, you will undoubtedly know just how useful and refreshing a good shaving cream can be. With that in mind, let us point out that not all shaving creams can provide the same benefits, with some being clearly better than others. 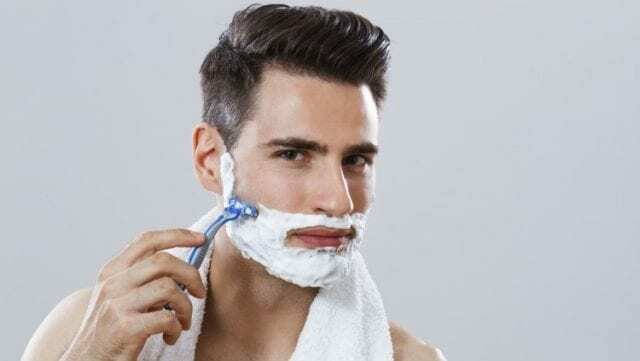 After taking into consideration everything the market has to offer, we put together a list of the ten best men’s shaving creams money can buy for you to look at. With the Duke Cannon Shave Cream, you can forget about cuts, razor burns, and nicks when shaving. This shaving cream contains specially formulated ingredients which offer you the closest shave possible in this price range. As such, the cream moisturizes the face and leaves you with a smooth and soft feel which lasts for hours after shaving. Among its ingredients, we find aloe vera, shea butter, macadamia nut oil, and calendula extract, all of which known for their soothing properties. This explains why the cream is used in most barber shops and is a trusted product by barbers everywhere. 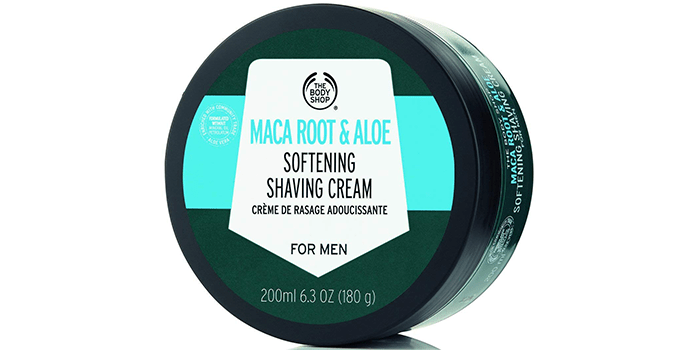 If you have particularly sensitive skin, then you should at the very least consider the Body Shop Maca Root & Aloe Softening Shaving Cream, which is by far is one of the best at protecting your face against irritation. Thanks to the organic aloe vera contained in its formula, you’ll avoid any type of pain or discomfort while shaving. It also moisturizes the skin and leaves it soft, smooth, and smelling amazing. Furthermore, the cream is 100% vegetarian and natural, a feat to consider when buying cream of any kind. Not just that but the Maca Root used in the cream comes from Peru and is great for keeping your skin hydrated and healthy. 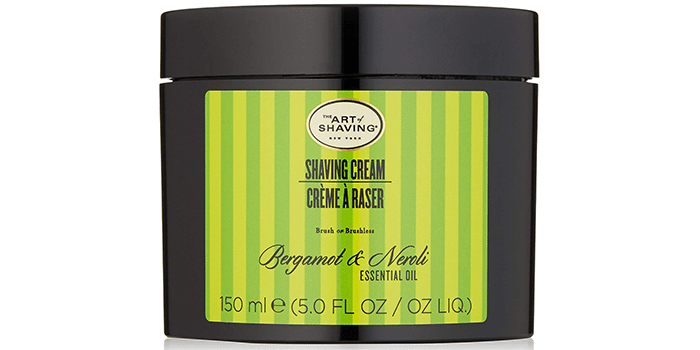 The Art of Shaving Bergamot & Neroli Shaving Cream is definitely one of the best shaving creams available these days. It is made from natural ingredients including cold pressed citrus and orange tree blossoms. The cream feels soft against the skin and helps moisturize the face when shaving which saves you from cuts, burns, and nicks. At the same time, the foamy lather this cream offers ensures that the razor slides across the face easily. With an amazingly fresh smell, your face will be left with a sweet and refreshing scent to last you throughout the day. The unique formula used in the cream offers superior protection when wet shaving. Even rough stubble is softened when this shave cream is applied which allows you to get a closer and cleaner shave. Thanks to its low foaming formula, you can get a more precise shave with better visibility and without any risks whatsoever. This is because of the hydrating agents in the cream that leave your skin moisturized and soft for hours after using it. 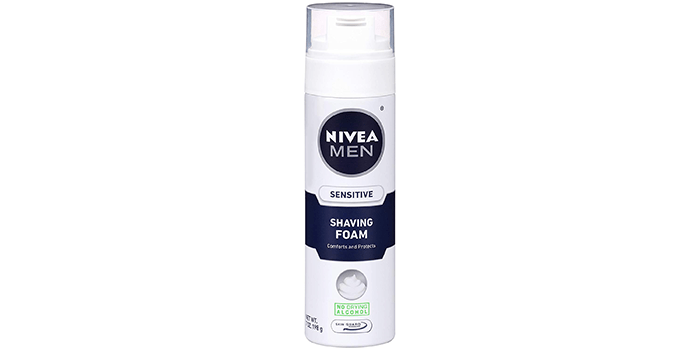 Nivea is definitely one of the biggest names in cosmetics and their Men’s Sensitive Shaving Foam is a clear example of their excellence. With an advanced skin guard technology, this shaving foam softens the beard hair which makes it extremely easy to get a clean and close shave. The moisturizing ingredients in the foam protect the skin from any irritations or burns. While most shaving creams have drying alcohol in them, this product does not, which ensures that your skin stays soft for hours after shaving. 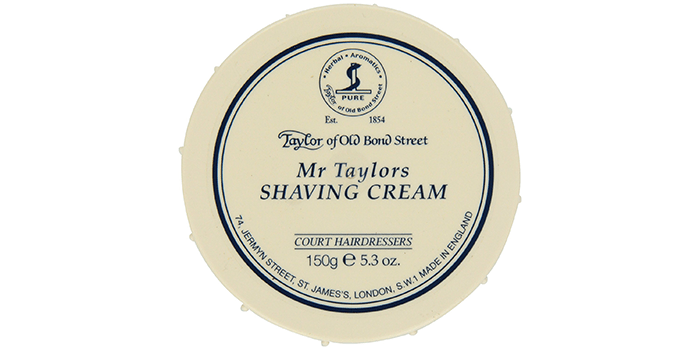 Seen as one of the most popular shaving creams available, the Taylor of Old Bond Street Mr. Taylor’s Shaving Cream stands out for its smooth cooling and remarkable protection. This imported shaving cream is not only excellent at getting a close and smooth shave, but it also offers many moisturizing properties for you to enjoy. As such, it leaves your skin with a faint sheen after shaving, which makes it suitable for all skin types and delivers one of the closest and smoothest shaves you could imagine. Not just that but the cream also delivers a subtle and natural scent which surely adds to its popularity. 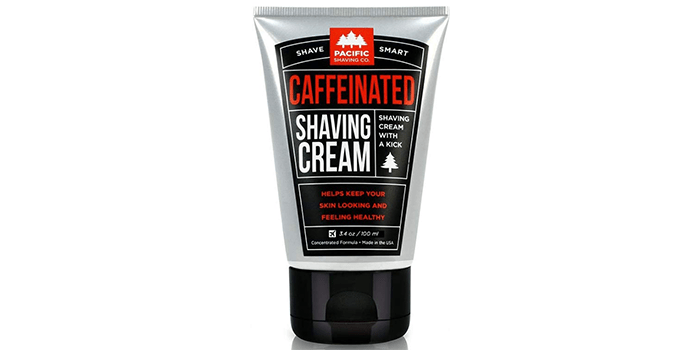 The Caffeinated Shaving Cream from Pacific offers a smooth shave while protecting the skin thanks to its caffeinated formula. As such, it helps protect against cuts, nicks, and razor burns. The cream has unique molecules that let the razor glide across your skin without any irritation. With menthol and peppermint extracts, your skin is left feeling cool and invigorated. Among ots other natural ingredients used in the cream, we find macadamia seed oil, calendula extract, aloe, lemon extract, olive leaf extract, and papaya extract, all known for their soothing properties. 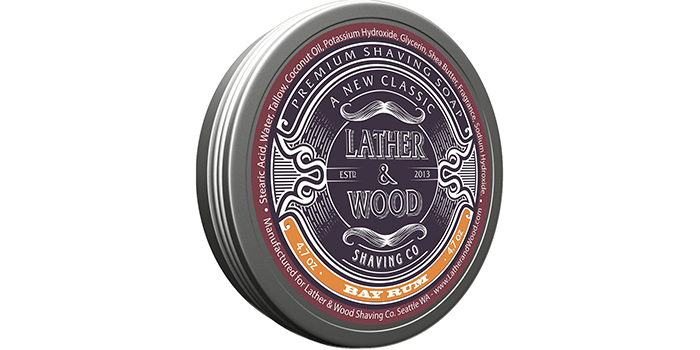 From the house of Lather & Wood Shaving Co, we get the Shaving Soap, a luxurious way to get a smooth and clean shave. This creamy soap offers a rich and dense lather when applied which makes shaving easier with virtually any type of razor. The natural moisturizer in the soap leaves the face feeling fresh and soft, thanks mainly to the Bay Rum addition to its ingredients, which also provides the creamy soap with a very pleasant scent. All things considered, this soap is a ‘must have’ for anyone who shaves regularly while the rustic packaging makes it an excellent gift option. 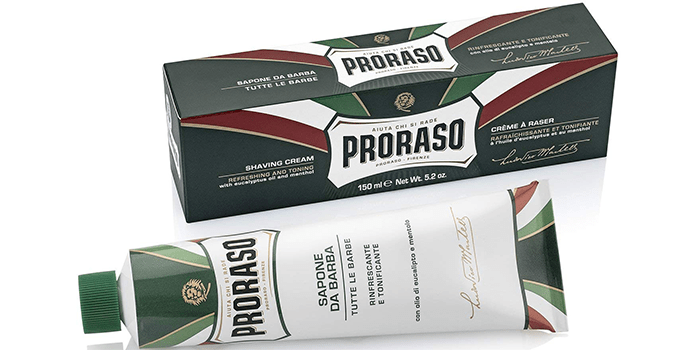 The Proraso Shaving Cream Soap is formulated to leave your skin feeling refreshed and toned thanks to its special and unique formula. The lather from this soap is thick and softens the hair which allows for a close shave. Add to this the fact that it is made with 91% natural ingredients which not only nourishes the skin but also leaves moisturizes it and you understand why so many people prefer it nowadays. Also worth mentioning are the ingredients used in the soap which include eucalyptus oil, menthol, and glycerin, ingredients known for their moisturizing properties. 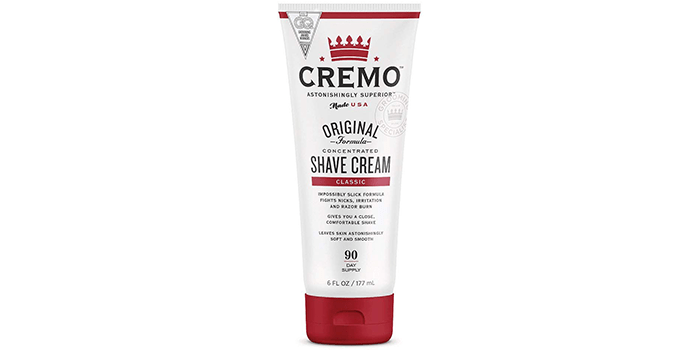 The Cremo Original Shave Cream is by far one of the best shaving creams for men. It is formulated to provide a comfortable shave and to protect the skin from cuts, burns, and nicks of any kind. For the perfect shave, all you need is a small amount of cream and you can experience a slick shave in just a matter of seconds without the fear of causing your face any harm. It also needs to be said that it is made from all-natural ingredients including macadamia seed oil, papaya extract, aloe, lemon extract, olive leaf extract, and calendula extract. 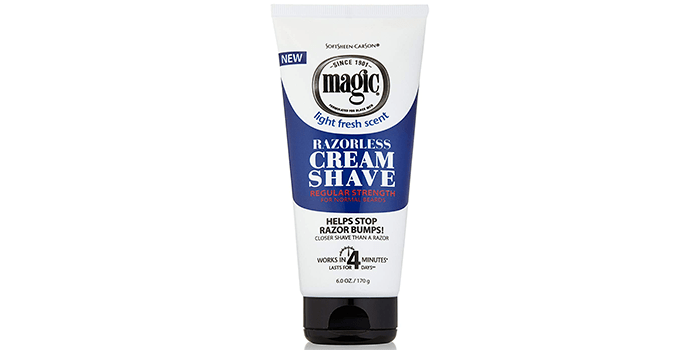 The concentrated formula ensures that the shaving cream lasts for longer and that you won’t experience any discomfort before, during, or after the shaving process.